For fertility doctors, telling a woman she cannot have a baby that’s genetically her own always tops their list of worst things to do. But when that woman recently faced down cancer in her prime and was never told that her life-saving treatment could steal her fertility, the task of delivering that dream-crushing news becomes even more daunting. It’s a scenario that plays out all too often in fertility clinics across the country, as more cancer patients are surviving the disease, but a significant number, as many as 40 percent, are not being counseled on today’s advanced fertility-preserving techniques. In response, some HealthONE doctors are working to build communication bridges between oncologists and fertility experts to encourage pre-treatment counseling and save more patients’ parenthood dreams. “Chemotherapy essentially destroys women’s egg quality,” says Dr. William Schoolcraft, founder of the Colorado Center for Reproductive Medicine, who recently teamed up with Sky Ridge Medical Center to educate breast cancer patients about their fertility options. “Sometimes, it completely throws women into menopause,” he says, the likelihood of which depends on age and the amount and type of drugs used.“In some cases, radiation can do that as well. It depends on where the treatment is targeted.”Fertility issues plague as many as half of all cancer patients, men included, Schoolcraft says. Although the problem has gained some recognition, with guiding organizations such as the American Society of Clinical Oncology recommending all cancer patients receive fertility counseling before treatment, a number of obstacles are still hindering progress. 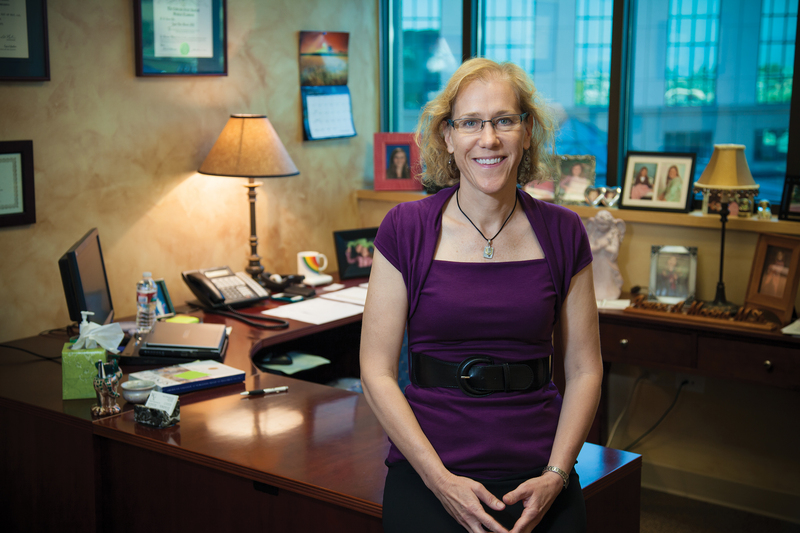 A chief one: cancer experts’ engrained goal of saving lives. “When patients are diagnosed with cancer, they are directed to oncologists, who are so focused on saving the person’s life — and rightly so — that fertility is not a priority,” Schoolcraft says. Years back, when survival rates for the types of cancers that strike reproductive-aged patients were poor, it wasn’t as much of an issue, he says. But those numbers have turned, and patients are often living for many years past cancer diagnoses and wanting to start families. 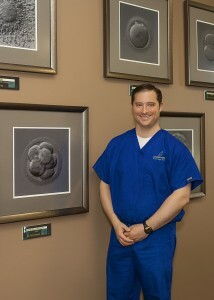 “And then it’s like: BAM!” says Dr. Ryan Riggs of Conceptions Reproductive Associates of Colorado. “They find out the chemo impacted their fertility, and they can’t conceive.” After already going through a cancer crisis, facing another unexpected life-altering blow can be devastating, says Riggs, whose practice has launched outreach efforts with Swedish Medical Center and others to combat the problem. The need for haste in treating cancer creates another barrier, with both oncologists and patients wanting fast treatment, Riggs says. “The first thing patients think about after receiving a cancer diagnosis? ‘Just take it out,’ ” Riggs says. While prompt treatment is important, many patients and doctors are still in the dark about advancements in the fertility field, which have speeded the process for cancer patients and made options more viable and thus worthwhile. 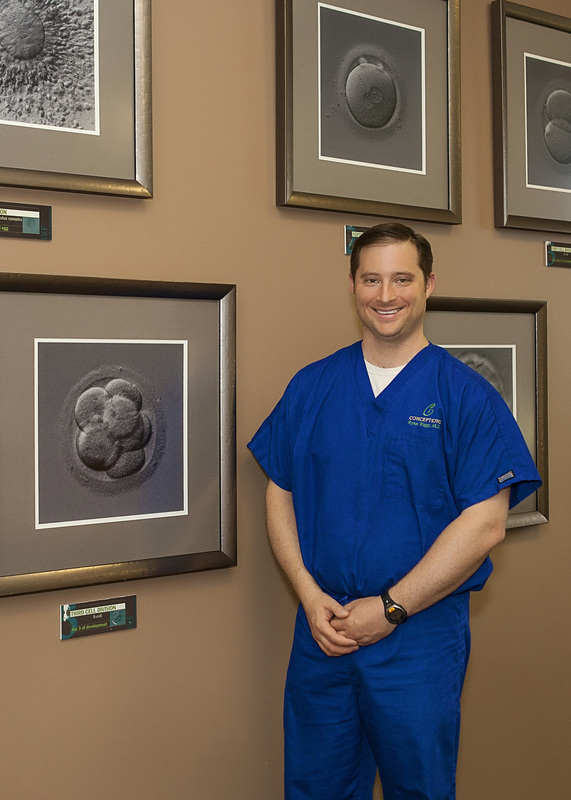 “Up until recently, most people weren’t aware how successful egg freezing can be, and that it can be done quickly,” Schoolcraft says. “So they thought it was out of the question.” But advanced technology and new knowledge are shaping fertility treatment today, such as the experts’ relatively recent discover that use of frozen rather than fresh embryos results in higher pregnancy rates. “The entire paradigm has changed,” Riggs says, a shift that is good news for cancer patients. By the time frozen embryos are transferred to the woman’s womb, which can be years later, her body isn’t in a flux from a rash of hormone-manipulating fertility treatments, as is the case with women undergoing in vitro fertilization with fresh embryos, Schoolcraft says, explaining the suspected reason for the improved pregnancy rates. “So, for cancer patients, if the question of their future partner is not in doubt, going ahead and using his sperm to fertilize the egg allows for a higher rate of success (about 10 percent better),” Schoolcraft says, adding that the younger the patient, the better the rates as well. The average successful pregnancy rate for 30-year-olds is 70 percent for embryos and 60 percent for eggs, Schoolcraft says. For patients not in committed relationships, the process of freezing eggs has also improved, boosting pregnancy rates. CCRM and Conceptions now use a rapid method of cryopreservation known as vitrification, which avoids damage to the cell that sometimes occurred with the slower freezing process used for the past 20 years. And if a woman doesn’t want to wait even that long to begin cancer treatment, another option involves doctors retrieving the eggs and then maturing them in the lab before freezing (in vitro maturation). “That’s not quite as successful as harvesting mature eggs, but our techniques with in vitro maturation have improved from three or four years ago,” Schoolcraft says. At Sky Ridge Breast Cancer Center, co-chair Dr. Joyce Moore and her fellow oncologists urge patients to take the time for fertility counseling to prevent future regrets. “We can’t guarantee they will be fertile coming out of treatment, so planning ahead is key. Especially today, with so many women choosing to postpone childbirth for career and other reasons, fertility is a significant issue,” says Moore, whose young patient load, for reasons unknown, is 10-percent higher than the national average. Some insurance companies will cover fertility-preservation procedures for cancer patients. And many clinics, including Conceptions and the Colorado Center for Reproductive Medicine, work with financial assistance programs (such as Fertile Hope, a program of LIVESTRONG) to help patients cover often already-reduced costs. 39 percent were not counseled at all about their treatments’ potential effect on fertility and their options. 56 percent were counseled by an oncologist only. 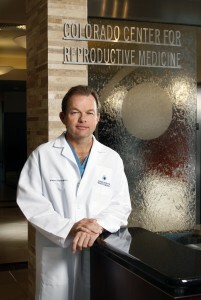 5 percent were counseled by a fertility specialist.